N.B. The bats in the photo are the actual bats for sale. AVAILABLE WEIGHTS: 2lb 7oz & 2lb 9oz. Mid-Low Middle - ideal for front foot play and use on slow and low pitches. Natural Finish (no Anti-Scuff Sheet applied). 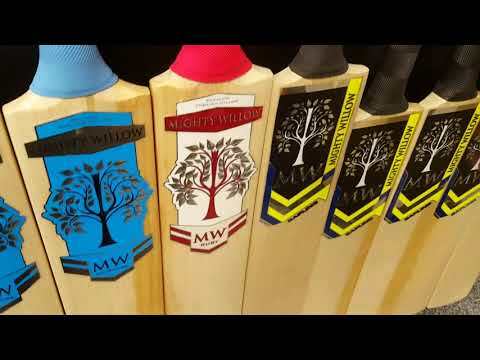 Handmade in England, from Grade 2 English Willow, the popular Mighty Willow Sapphire Cricket Bat has a new look for 2019, with improved stickers - featuring more embossing and detailing. A thick toe and mid-low middle ensures a wealth of mass and power further down the blade, making the Mighty Willow Sapphire a strong and durable bat, that is ideal for front foot play and use on slow and low pitches.